This is an invitation for you to nominate suitable boys for assessment to join the U16 County Squad. Nominated players should be those with above average talent, who would benefit from a series of development days given by coaches with specialist capabilities. This email is intended for the U16s Coach at your Rugby Club or the Master in Charge of Rugby/Head of P.E at your School. Please pass this on to the relevant person at your Club/School. Please ignore this email if this does not apply to you. If you have moved from your Club/School, then please notify us so that we can amend our records and remove you from our database and ensure the correct person is notified. The person responsible for the U16s at your Club is invited to nominate up to 5 boys to be assessed for the Surrey U16 Squad Programme. The person responsible for the U16s at your School is invited to nominate up to 5 boys to be assessed for the Surrey U16 Squad Programme. This is an online system in order to streamline the nominations process. Please follow the instructions carefully. Should you have any difficulties with this please contact the Surrey Office. You may nominate the above number of players ONLY. Please confirm the eligibility of your players BEFORE you nominate them and where possible, avoid duplication in nominating the same player from both Club and School. Use the link below to access the nomination form. Complete all fields, making sure that the e-mail addresses are correct, (this will be the email address by which your player is contacted to notify them that they have been nominated). Once you click 'submit nomination', an e-mail is automatically sent to the nominated player. The nominated player will receive this e-mail with instructions to register their details and to confirm that the player wishes to be nominated. On player registration we will then seek the explicit permission of the player's Parents / Guardians for their participation in the programme. 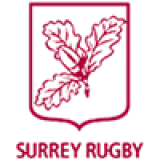 The completed form is automatically sent by e-mail to Surrey Rugby and the nomination is then complete. Further information regarding the assessment will be sent out to the player/parent nearer to the time of the assessment (normally in the week before).